My son had braces put on his teeth last week, which has made eating apples, his favorite fruit, a tall order. 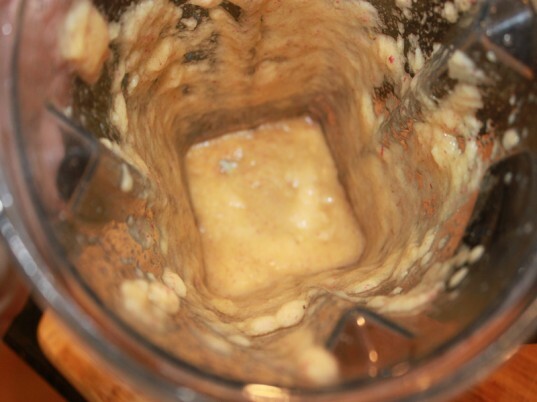 Last night, he was especially craving the apple sweetness, so I whipped up a quick cup of organic applesauce in my blender. I wasn't sure if it would turn out - but to our surprise it turned out brilliantly, and it was delicious! The best part, it only takes a minute or two and can be made fresh right before you serve it. 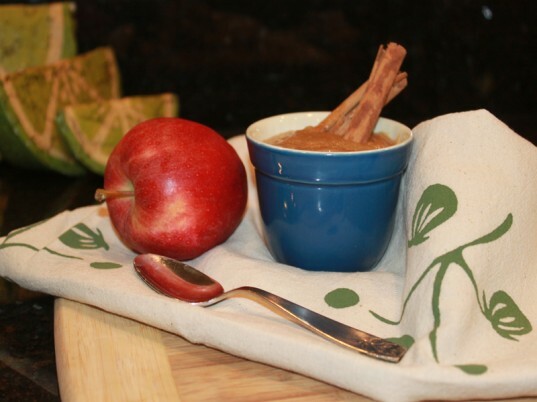 Read on to learn how to make simple organic applesauce using your blender. Step 2: Cut it Up! 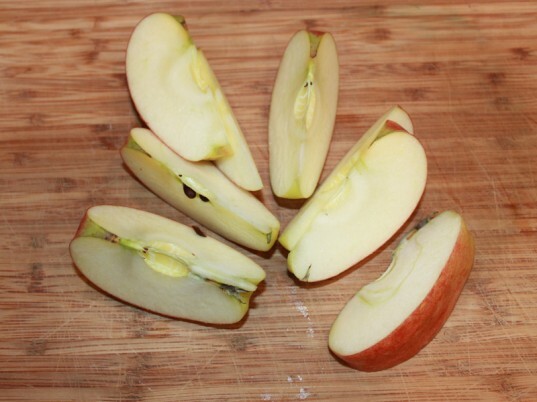 Slice your apple into large chunks – we have a great blender that pulverizes anything so I left the skin and seeds intact. Step 3: Combine Your Ingredients! 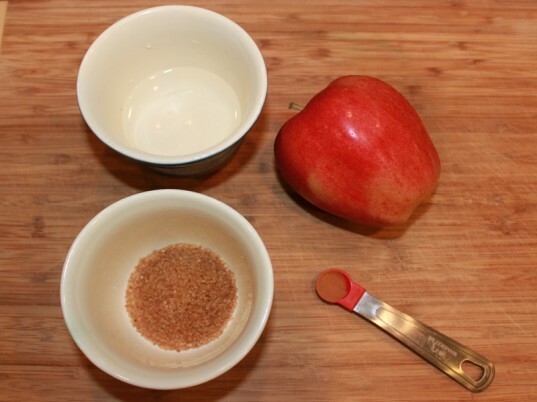 Add the apple chunks, water, sugar, and cinnamon to your blender. Step 4: Mix it Together! 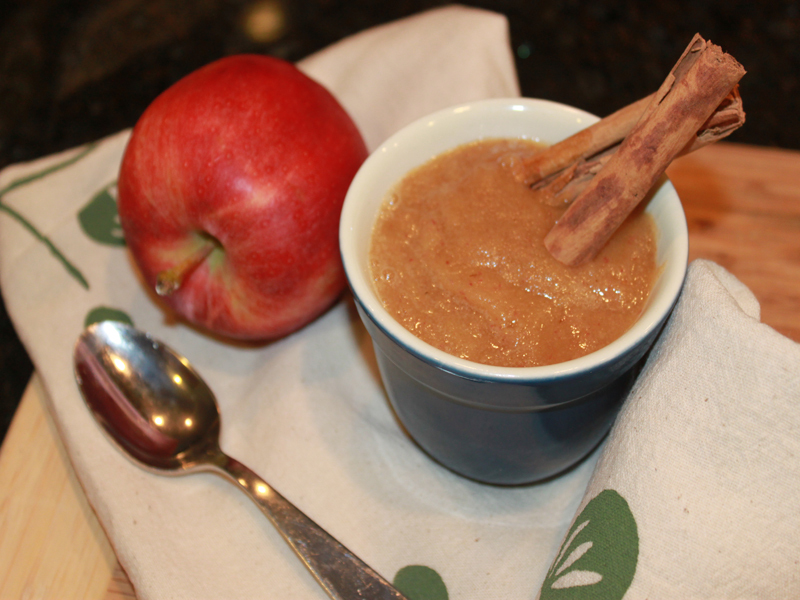 This recipe is so simple, I can make a single cup or double it anytime my son wants a little sweet treat! 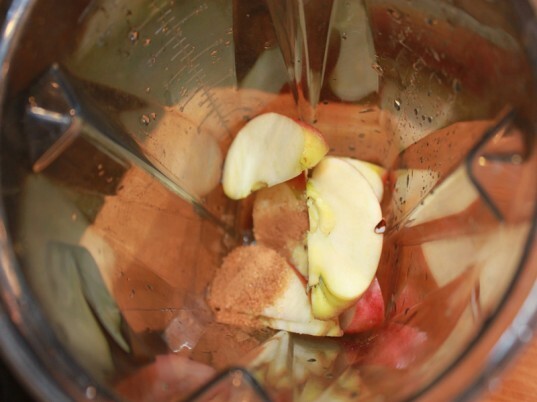 Slice your apple into large chunks - we have a great blender that pulverizes anything so I left the skin and seeds in tact.